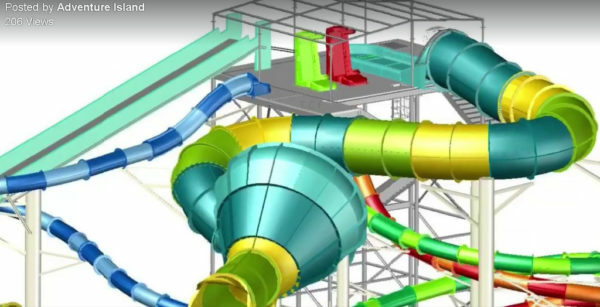 Adventure Island – Busch Gardens Tampa Bay‘s adjoining water park – recently announced Vanish Point, a trio of new slides set to open in March 2018. 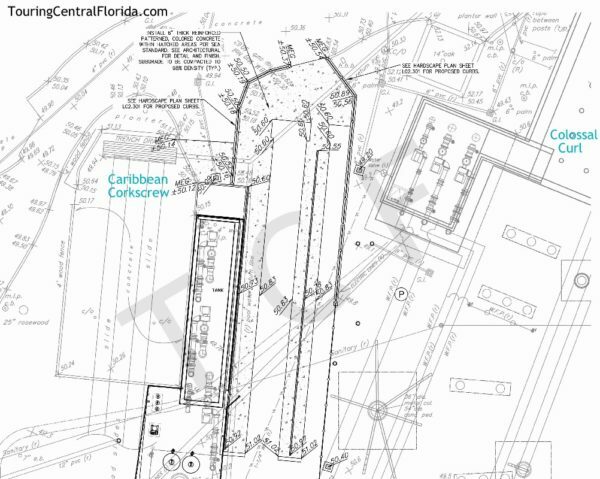 Touring Central Florida was the first to break the news on the location of the new slides back in August. 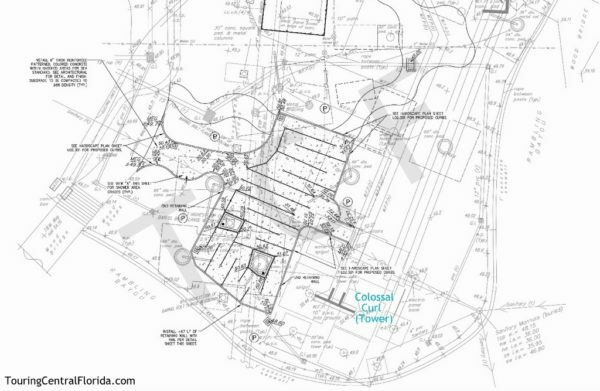 Publicly filed permits show a new queue area will be built below the tower and slide structure, and the slides will end near the same spot Colossal Curl does. 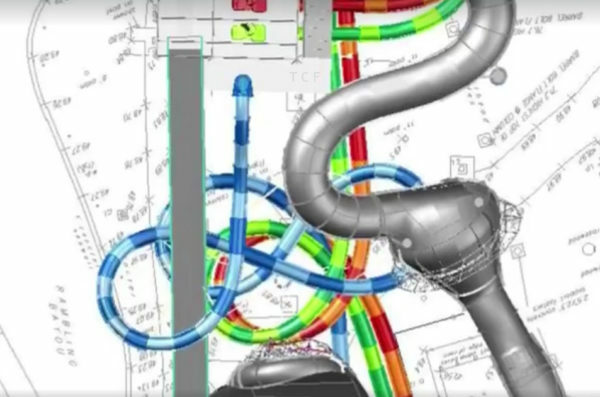 The new slides were first announced through a video on Adventure Island’s facebook page, which featured a look at work beginning around the base where the new queue area will be constructed. If the name Vanish Point sounds familiar, there’s a reason. That’s the same name of a slide complex at Water Country USA, which is Busch Gardens Williamsburg’s water park. There, Vanish Point features two drop slides and two speed slides. The Vanish Point logo being used for the Adventure Island project is even the same as the one up north. What will be different is the layout and stats. As seen in the images and video above, both the drop slides and the speed slide feature a number of twists and turns that its counterpart in Virginia does not have. The speed slides at Water Country USA measure just 300 feet in length, and are a straight shot down and into the pool. 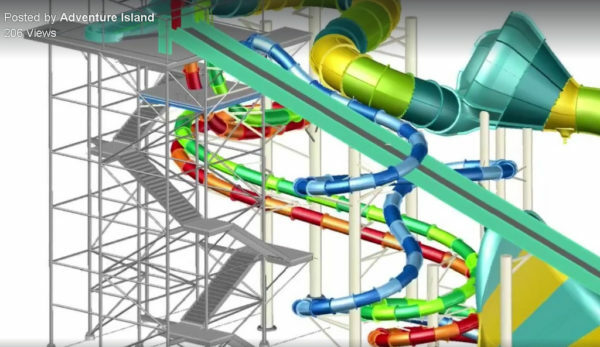 Guests are in for the slide of their lives when Adventure Island Tampa Bay’s new epic drop slide, Vanish Point, opens in March 2018. Inspired by the point on a wave where water and gravity form a perfect partnership, the crest of this 70-foot tower challenges you with two 425 ft. wave paths. Step into one of two skyboxes, and face your fears as the floor disappears beneath you. Or, get horizontal on a 455-foot long slide ending with a high speed finale. Located right across the street from Busch Gardens, Adventure Island is the ultimate combination of high-speed thrills and tropical, tranquil surroundings for guests of all ages. Within a soothing Key West atmosphere, guests enjoy slides, corkscrews, water falls, a wave pool, children’s water playground and other family attractions. 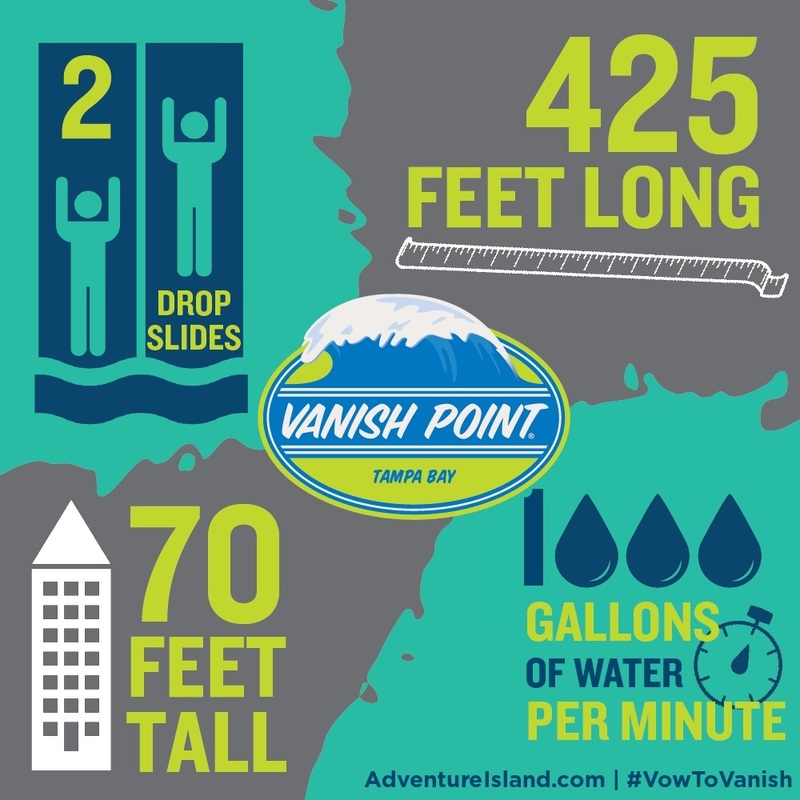 Vanish Point will be located at the center of the park next to another family-favorite thrill slide, Colossal Curl. Join the conversation on social media about Vanish Point using #VowToVanish. For the latest on Adventure Island, Busch Gardens Tampa and other theme parks, attractions, dining venues and more across the region, be sure to follow Touring Central Florida on twitter @TourCentralFL & @androckb, and give our facebook page a like.